There are currently 7,063 users on this website. 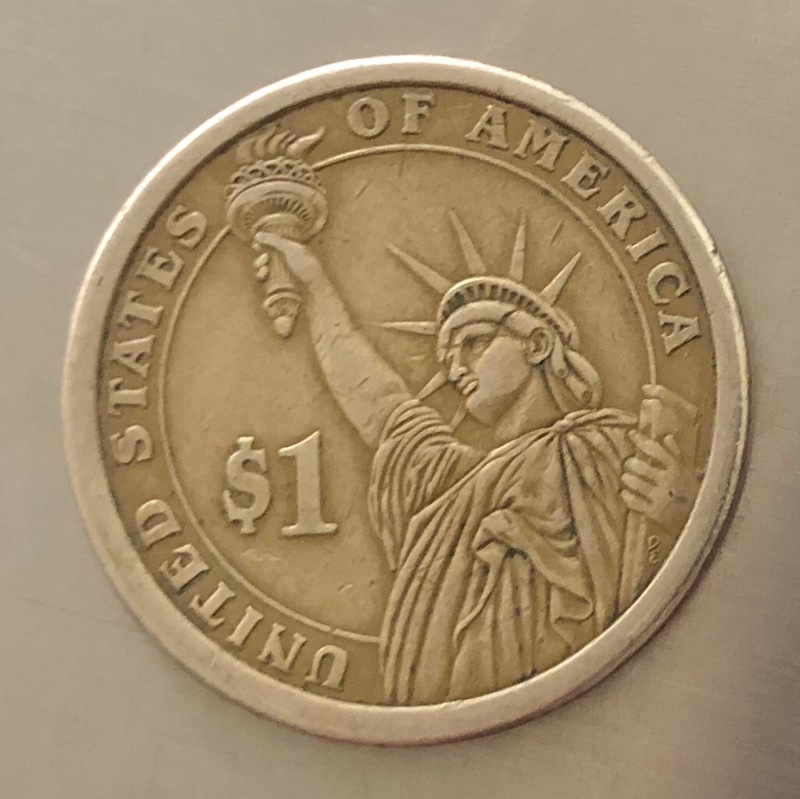 Washington Dollar Coin No Polish? Hi all, it's my first time posting. I tried to see if this was some kind of error online before posting here. 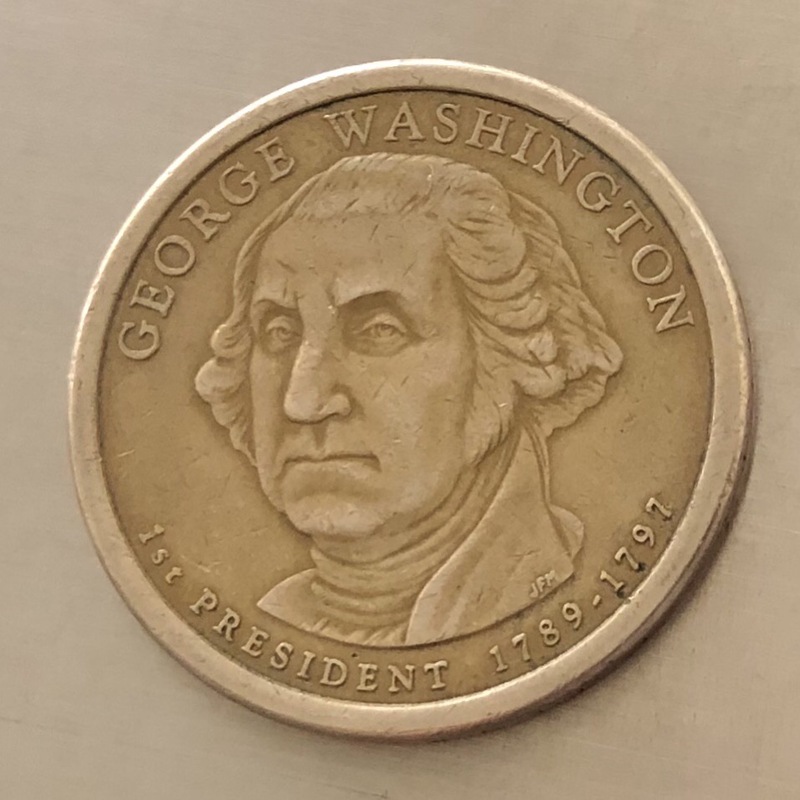 But the only info I could find on a 2007 P Washington Dollar coin was the edging error. This looks like it hasn't got any luster to it at all. I'm curious if it's just old or if it missed a step in the minting process. Still weighs 7.9g. Any thoughts? I guess I would describe it as a zinc-like color. And I can really feel the definition of the punch on the obverse and reverse. All coins will lose luster as they are circulated. Sometimes they have other things happen to them which can alter color as well: chemicals, exposed to the elements, being heated to an extreme, being buried, etc. Yours is a circulated coin that has seen a lot of action. Your coin has seen way too much circulation. That's why it looks like that. Very worn. The coin may have been abused. (Harshly cleaned) Even George looks unhappy. Golden Dollars don't stay Golden for very long in circulation. It took 1.59 seconds to rattle this change.